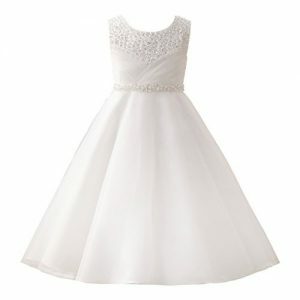 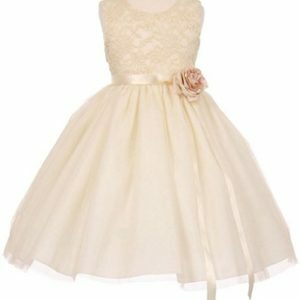 Gorgeous flower girl dress for your little girl. 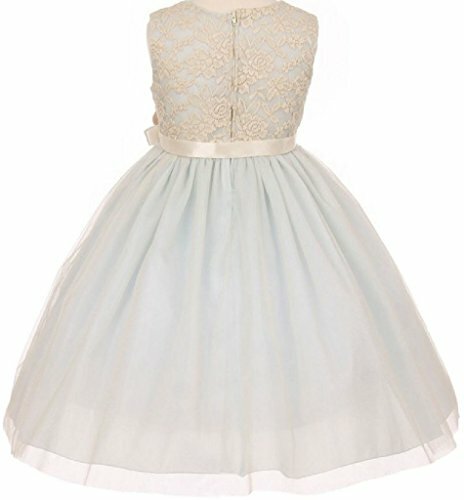 Elegant Contrast 3D Stretch lace tulle dress with satin sash and corsage. 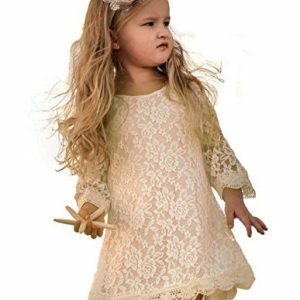 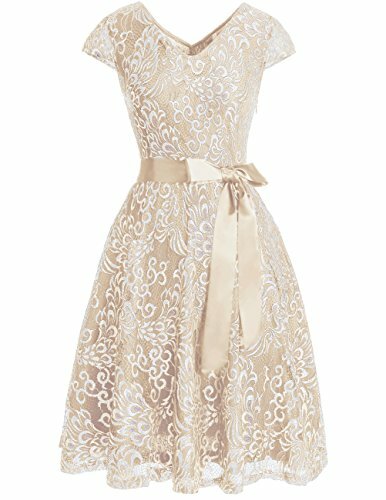 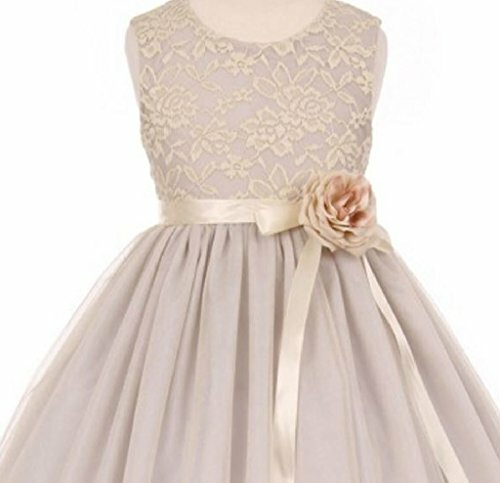 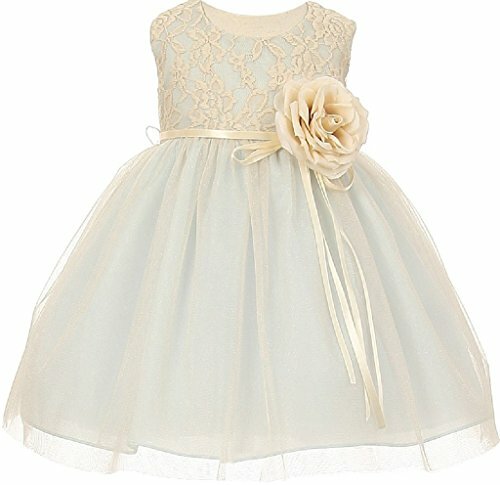 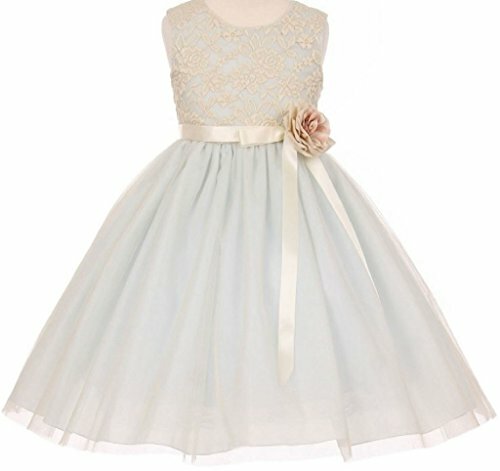 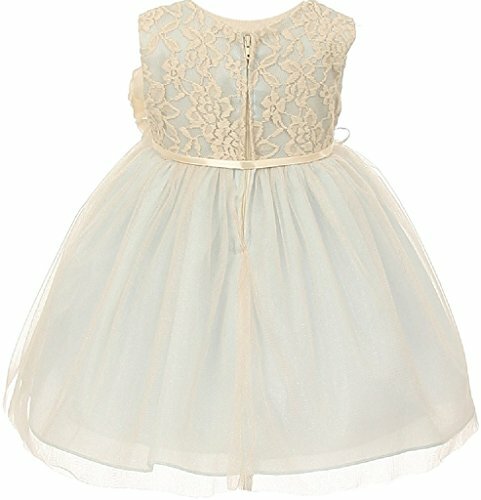 Have your little girl wear this dress for Flower Girl Dress, Easter Girl Dress, and other Formal Events.This lovely dress has a lovely round neck bodice. 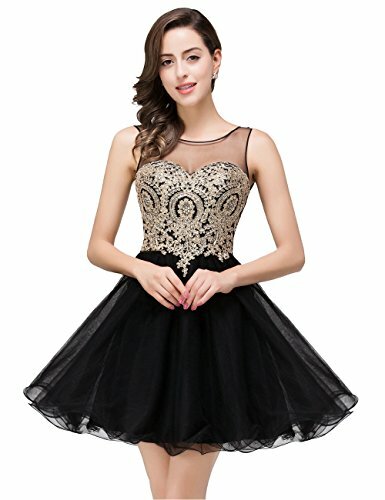 Elegant contrast 3D stretch lace tulle dress. 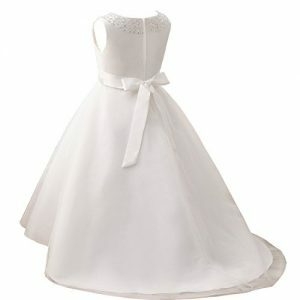 The waist has satin sash and corsage.